Probably the most flexible way to manage smart metering data. 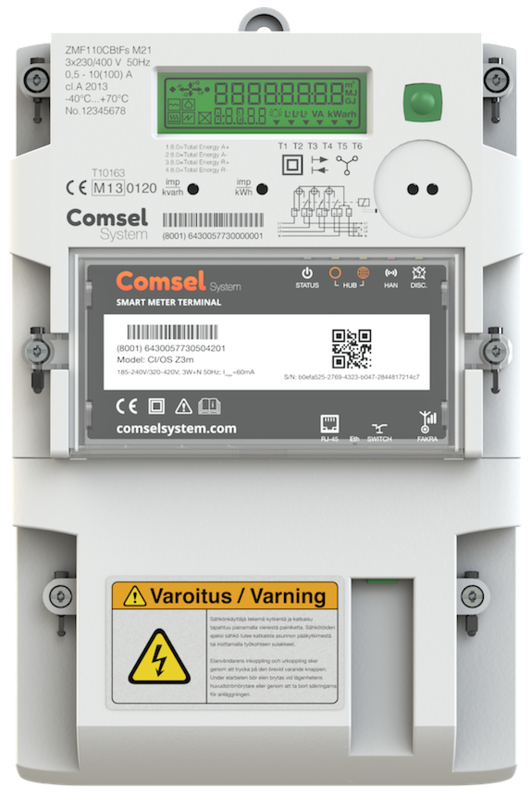 Comsel Corona Service Hub is probably the most flexible and secure way of managing your smart metering infrastructure. Corona is an IT-infrastructure system for managing both the equipment involved in smart metering as well as the measurement data. Corona is made up of a suite of tools for handling provisioning, configuration, firmware updates as well as day-to-day communication. High availability. Comsel takes pride in engineering robust technologies and Corona is designed and operated to achieve the highest possible availability levels. Flexible. Corona is a distributed system capable of running in many different configurations depending on your needs. It can be set up for a cost-effective small installation and grown into a large, multi-site setup. Secure. Security is at the core of Corona. All communication between devices and Corona is end-to-end encrypted and mutually authenticated. Individual components of Corona run in secured environments and have limited access to the rest of the network. 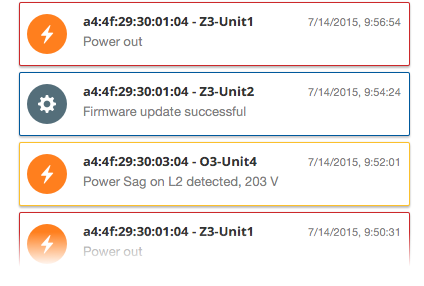 We collect data from multiple sources, process them locally for fast actions and anomaly detection. Our devices can store several million meter values and offer near real time processing. Corona constantly monitors the health and behavior of your devices and can quickly act and alert you if any anomalous behavior is detected. All of Comsels products are configurable and upgradable through Corona and all changes are recorded to ensure traceability throughout the product's life cycle. For more information about our metering products, see the Zodiac page. Getting your data from the metering unit to you quickly, securely and reliably is at the utmost importance for us. To ensure reliable delivery and offer as much flexibility as possible our devices can use multiple different connection paths simultaneously, for instance: A dedicated private 3G network, fixed Ethernet, WiFi, or any combination of them. Corona Service Hub constantly optimizes the choice of network throughout the life cycle of the product and can always choose the telecom carrier which offers best signal at the location. All communication between Corona and the devices, regardless of which method, is encrypted end-to-end using state of the art encryption methods and any communication between the device and our systems is always mutually authenticated. Comsel Corona gathers all measurement data from all your Comsel products (including EPCP™ based products). We validate the data, monitor your units for anomalies and perform state of the art data analysis on your data. 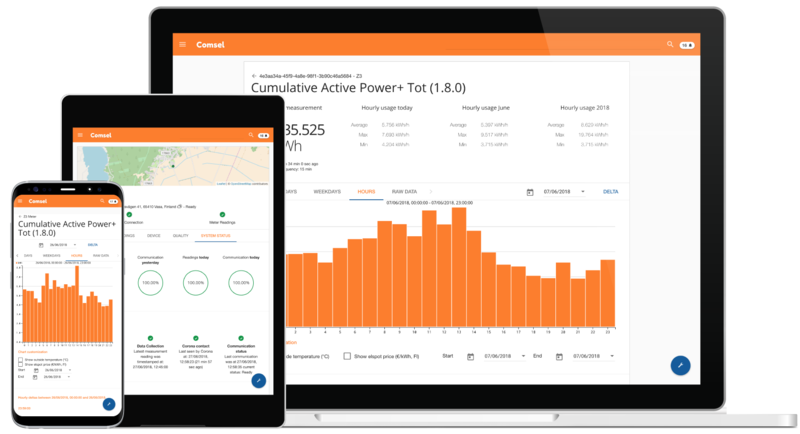 Corona alerts you instantly if there is a problem at the measurement point or on the grid and provides you with actionable reports of the state of your devices. In order to ensure high availability we keep redundant networking and servers, constantly monitor the health of the entire installation and have state-of-the-art self healing facilities. All our systems are configured to autonomously take action if a server or process stops responding and the system will remain operational during partial outages. We strive to present the best tools for your metering data to you. We have a complete suite of metering data management, provisioning and asset management tools available. We provide experiences for a mix of users interacting with Comsel devices, for instance, end consumers, field personnel, operative analysts and administrators. If you want more information about our products Zodiac, Corona, Oculus, Neuron, EV Charging and our solutions, please fill in this form or contact sales directly. 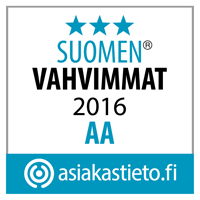 The Comsel head office is located in Vasa, Finland. 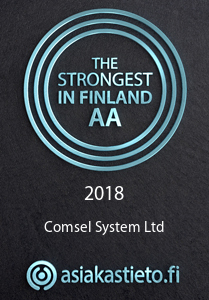 Comsel System Ltd operates on the Finnish, Swedish, Norwegian and Danish markets. Copyright © Comsel System 2012-2019. All Rights Reserved.